2014 is a significant year, with August being the 100th anniversary of beginning of WWI. Countries around the world are preparing to take part and contribute to commemorations. Many institutions have instigated projects to record memories and consolidate resources, particular online. ANZAC Day is the day that is a national day of remembrance for Australian and New Zealanders who died during armed conflict. This is the fourth year that Auckland Libraries have issued a Trans-Tasman ANZAC Day Blog Challenge. Do you have a story to share about an ANZAC? Stories we'd like to hear about could be about their sacrifice, or the way it shaped or impacted on their family history. Maybe you want to blog from the perspective of those that were left behind? Your story doesn't have to involve a serviceperson who lost their lives - during times of war, all sorts of loss unfortunately are experienced. And you can write about those who also served in other wars, as all who served in Australia and New Zealand are recognised as ANZACs. Maybe you have written about your ANZAC before, and have more research to add to the story? Post a comment with the URL to your blog on the comments section of this post. Publish your post by 26 April 2015. After ANZAC Day, all submissions will be listed in a summary posting on our blog. Just to get you started, see recommended resources for New Zealand and Australian research, within the Auckland Libraries online resources. The virtual exhibition consists of "albums" containing photos/images and documents. Virtual albums entitled "Gallipoli", "Lest We Forget", "New Zealand Maori Battalion", "Peace", "Postcards" and "Returned Services Association". Also has a portal for searching content nationwide from organisations such as libraries, archives, museums and galleries, including Auckland Libraries. For references to articles and other resources regarding WWI and WWII. Papers Past and Trove for newspapers of the time. Within the library catalogue: Auckland Libraries, search using World War, 1914-1918 or World War, 1939-1945 to find suitable resources. New Zealand Expeditionary Force casualties, WWI. Books I to XIV, 15 Aug. 1914 to 6 Jan. 1919. Try searching our library catalogue, using call number: 2 NZL MIL for more. Try searching our library catalogue, using call number: 2 AUS MIL for more. using the resources listed on Cora Num’s website. National Archives of Australia Facebook page about their Shellshocked Exhibition and some of the personal stories that they have collected might also be of interest. 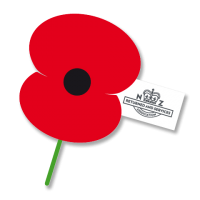 Helen Vail's blog 100 NZ WW1 Memorials 1914-2014 is a mine of information about WW1 memorials, and individuals that she has researched. Helen's goal is to personally visit and collate information from 100 New Zealand World War One Memorials throughout New Zealand by August 2014 to commemorate the 100 year Anniversary of the start of World War One and to honour those who paid the ultimate price. 2011 Trans-Tasman ANZAC Day Blog Challenge to get you started! Have a look at Auckland War Memorial Museum's Cenotaph database. Hopefully this will inspire you and provide you with some assistance in writing your blog! While thinking about your blog, remember that 2014 marks the centenary of the beginning of the First World War. 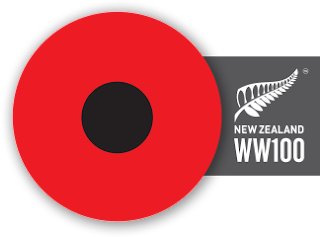 The Ministry of Culture and Heritage is developing projects to assist with commemorations, WW100 is providing a portal for New Zealanders who want to be involved in the commemorations, and NZ History Online provides a place for our school children to go to for homework and study assistance. You may already have read about the launch of New Zealand's WW100 on a previous blog post. It's worth considering how else you might want to contribute to commemorating, and ensuring that your stories are collected. Each country will have its own WW100 commemorations, so if your ancestor was involved serving for another country, see what you can find out about that that country is doing. Have a look at Britain Remembers, and the Imperial War Memorial Museum's Lives of the First World War and also look at what's going on in UK public libraries. FindMyPastAU and Inside History magazine have a joint initiative to create an ANZAC Memory Bank and invite people to contribute.